BARUDI, E. P., L/Corporal, R.E. Having enlisted in August 1913, he was sent to the Western Front immediately on the outbreak of war and served in the Retreat from Mons. He also took part in the Battles of Le Cateau, Armentieres, Loos, Vermelles, Arras, Ypres, Passchendaele and the Lys and in the Retreat and Advance of 1918. He afterwards served in Germany, finally returning home for discharge in February 1919. He holds the Mons Star, and the General Service and Victory Medals. 38, Clifton Road, Peckham, S.E.15. BARWELL, G. W., Private, M.G.C. Joining in April 1916, he subsequently took part in the Advance into Palestine, where he served in the Battles of Gaza and at the capture of Jerusalem and Jericho. In May 1918 he sailed for France in H.M.T. "Leasowe Castle," which was sunk by a submarine in the Mediterranean. He returned to Alexandria and was later transferred to the Western Front, afterwards proceeding into Germany. Demobilised on his return home in February 1920, he holds the General Service and Victory Medals. 203, Hollydale Road, Peckham, S.E.15. BARWELL, V., Sergt., R.G.A. He volunteered in September 1914, and was retained at various stations, where he was engaged on important duties as a Gunnery Instructor. Unable, owing to ill-health, to obtain his transfer overseas, he, nevertheless, rendered valuable services with his Battery, and was for some time in hospital, before being invalided from the Army in January 1918. BARWELL, W., Gunner, R.F.A. Volunteering in August 1914, he was invalided from the Army in September of the following year. He re-enlisted, however, in September 1917, and was drafted to Mesopotamia, where he saw much severe fighting, until the cessation of hostilities. He then served with the Army of Occupation at Constantinople, until his demobilisation in November 1920. He holds the General Service and Victory Medals. 29, Clifton Crescent, Peckham, S.E.15. 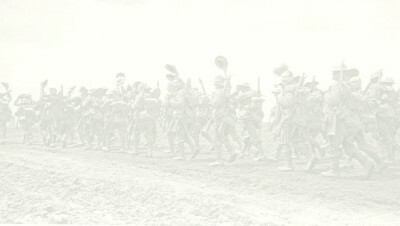 BASGALLOP, W. E., L/Cpl., 18th London Regt. (London Irish Rifles). He volunteered in November 1915, and proceeded overseas in January 1917. Later he was invalided home owing to illness, but returning to France, took part in various engagements, being wounded in January 1918. He was again sent to hospital in England, but in the following September was present at the capture of Lille. He was demobilised in February 1919, and holds the General Service and Victory Medals. 6, Felicia Road, E. Dulwich, S.E.22. BASHFORD, J. E., Staff-Sergt., 4th Middlesex Regt. He volunteered in June 1915, and attached to the Inns of Court Officers' Training Corps, was retained on duties of great importance at various stations. He was unable to obtain his transfer to a theatre of war on account of ill-health, and was for three months in hospital at Aylesbury. Nevertheless, he rendered valuable services with his unit until February 1919, when he was demobilised. 421, Blythe Road, West Kensington, W.14. BASKERVILLE, H., A.B., Royal Navy. He was already in the Navy when war was declared in August 1914, and afterwards served in H.M.S. "Good Hope." He took part in the Battle of Coronel and unfortunately lost his life when his ship was sunk in that engagement on November 1st, 1914. He was entitled to the 1914-15 Star, and the General Service and Victory Medals. 12, Cranswick Road, Rotherhithe, S.E.16. BASKETT, A. C., Private, East Surrey Regiment. He volunteered in August 1914, and in April of the following year proceeded to the Western Front, where he served as a Lewis Gunner in various sectors. After taking part in the Battles of Ypres, Festubert, Loos, Vermelles and Ploegsteert Wood and other engagements, he was invalided home suffering from neuritis, but shortly afterwards returned to France. Severely wounded in action on the Somme he was again sent to England and unhappily died in hospital on November 9th, 1916. He was entitled to the 1914-15 Star, and the General Service and Victory Medals. 1, Dutton Street, Greenwich, S.E.10. BASKETT, G. O., Rflmn, 21st London Regt. (1st Surrey Rifles) and 1/2nd London Rgt. (Royal Fus.) Joining in May 1917, he was drafted to France in August of that year and there saw severe fighting in various sectors of the Front. After taking part in many important engagements, he was taken prisoner in the second Battle of the Somme in March 1918, and unhappily died of exposure whilst in captivity in Germany. He was entitled to the General Service and Victory Medals. 2, Dutton Street, Greenwich, S.E.10. BASKWELL, W., Rifleman, Royal Irish Rifles. Joining in July 1916, he was drafted to the Western Front after three months' training and there, serving with the Queen's, saw severe fighting in various sectors. He took part in the Battles of Bullecourt, Ypres, Passchendaele, Cambrai and the Somme and many other important engagements and fought also in the Retreat and Advance of 1918. He was demobilised on his return home in March 1919, and holds the General Service and Victory Medals. 34, Wotton Road, Deptford, S.E.8. BASS, E. (M.M. ), Sergt., 2nd Essex Regiment. He joined in May 1917, and in March of the following year proceeded to the Western Front. There he saw severe fighting in various sectors and took part in the Battle of Cambrai and many other important engagements during the Allies' Retreat and Advance. He was afterwards transferred to Egypt, where he was engaged on clerical duties at General Headquarters until his return home for demobilisation in March 1920. He was awarded the Military Medal for conspicuous bravery in the Field at Valenciennes in October 1918, and holds also the General Service and Victory Medals. 85, Ashburnham Grove, Greenwich, S.E.10. BASS, G. W., Private, 22nd London Regiment. Four months after volunteering in July 1915, he was drafted to the Western Front, but on medical examination was found to be unfit for active service. Invalided home in December 1915, he was for a considerable period in hospital before being discharged as medically unfit for further service in September 1916. he has since died. He was entitled to the 1914-15 Star, and the General Service and Victory Medals. 21, Sandwich Buildings, Rotherhithe, S.E.16. BASS, J. H., L/Cpl., York and Lancaster Regt. He volunteered in September 1914, and in the following year was drafted to the Western Front. In this seat of war he took part in several engagements, including the Battles of Ypres, Arras and Cambrai. He was demobilised in March 1919, and holds the 1914-15 Star, and the General Service and Victory Medals. 20, Storks Road, Rotherhithe, S.E.16. BASSETT, A. A. (Miss), Special War Worker. This lady obtained work of National importance at the Woolwich Arsenal, where she was engaged as an examiner until 1917. She then took up a post as clerk at the offices of the Ministry of Food, and carried out important clerical duties in a thoroughly efficient and satisfactory manner, remaining there until 1920. 56, Crystal Palace Road, East Dulwich, S.E.22. BASSETT, F. R., Pte., Loyal N. Lancashire Regt. Mobilised at the declaration of war, he was quickly drafted to France and took part in the Retreat from Mons and the Battles of the Marne, the Aisne, Ypres, Neuve Chapelle, Festubert, Loos, Givenchy and the Somme. After having been wounded on three occasions, he was invalided for hospital treatment to Cambridge, and on recovery returned to the Western Front and fought in the Retreat of 1918. On August 4th of that year he gave his life for King and Country during the Allied Advance, and was entitled to the Mons Star, and the General Service and Victory Medals. "Courage, bright hopes, and a myriad dreams splendidly given." BASSETT, G. E., Gunner, R.G.A. He was serving in India when war was declared and later proceeded to Mesopotamia, where he was in action until taken prisoner at Kut with General Townshend on April 29th, 1916. Whilst in captivity he contracted a severe illness, to which unhappily he succumbed at Baghdad on October 26th, 1918. He was entitled to the 1914-15 Star and the General Service and Victory Medals. BASSETT, J. A., Pte., 1st Queen's Own (Royal West Kent Regt.) and Sapper, R.E. He volunteered in January 1915, and later in that year embarked for the Western Front, and whilst in action at Neuve Chapelle was wounded. After receiving hospital treatment he rejoined his unit and was engaged in heavy fighting in many parts of the Line. Wounded at Trones Wood in 1917, he returned to hospital in England, and on recovery was transferred to the Royal Engineers. He served at various stations until demobilised in April 1919, holding the 1914-15 Star, and the General Service and Victory Medals. 62, Azof Street, Greenwich, S.E.10. BASTED, I. (Mrs.), Special War Worker. During the whole period of the war this lady was engaged on work of National importance. She was first employed at the Woolwich Arsenal, where she worked in the manufacture of cartridges. Later she was a lift attendant in a Government Office until the Armistice. She did continuously good work throughout, and carried out her duties in a most efficient manner. 64, Galleywall Road, Rotherhithe, S.E 16.